Centered on you|success|members since 1939. 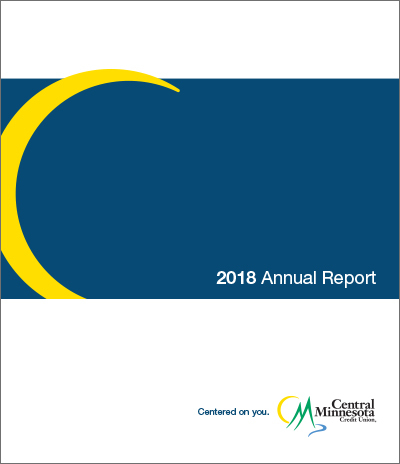 Central Minnesota Credit Union was built from the ground up by its members since 1939. The credit union was chartered in Melrose under the philosophy of ‘people helping people’. Every member is an owner and dividends are returned through better rates on savings and loans and lower fees. Your Board of Directors is made up of local members who were elected and volunteer their time. As a member-owned organization, our vision is enhancing the lives of members and community through strength, service and growth. CMCU has always been willing to go the extra mile and work with members’ requests. We are committed to serving our communities by sponsoring events, volunteering and contributing to local organizations. These commitments are the foundation of your credit union, the reason for our success and why we remain financially strong. Join us and experience the credit union difference.